The shed is huge. There’s room for a semi, sprayer, combine, saws, grinders, drills and even a kitchen. It uses the most power on the farm. 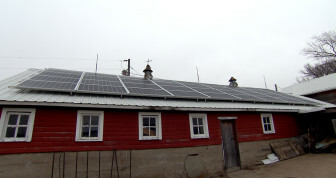 And on Brummond’s farm that includes solar power. 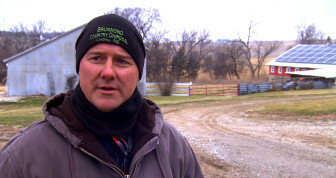 Once the panels are paid for, Brummond expects to cut thousands each year from electric bills. But he says another reason for going solar is to stop relying so much on fossil fuels. Even with more farms using renewable energy, agriculture still consumes plenty of coal and oil. USDA economist Jayson Beckman has studied the energy diet of U.S. agriculture. He found overall energy use has been fairly even over the last decade or so. Farms don’t use a lot more or less fuel for tractors or electricity for machine sheds from year to year. What tends to fluctuate is fertilizer. “The amount of fertilizer used for corn and wheat, it really weighs heavily on the total energy pie for agriculture,” Beckman said. Corn and wheat need nitrogen fertilizer added to the soil to make big yields. And Beckman says that nitrogen primarily comes from fossil fuels. “Eighty percent of [nitrogen fertilizer] production is from natural gas,” Beckman said. That puts corn and wheat among the most energy intensive crops grown in the U.S. But natural gas isn’t the only way to get nitrogen. Farmers can make their own, right in the field, by growing cover crops between one year’s harvest and the next year’s planting. 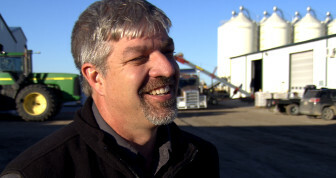 Keith Berns started selling cover crop seeds after using them on his own farm. A cover seed mix for a single field may include many plants.Brian Seifferlein / HPM On a windy winter day, Keith Berns took me to a field test-plot covered with a thin green blanket of plants called winter peas and hairy vetch. Berns is the co-founder of Green Cover Seed in Bladen, Neb., which sells cover crop seed across the U.S. 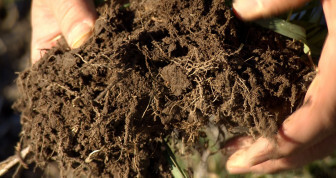 The cover crops he grows are not planted to make money, but to keep the soil working over the winter. 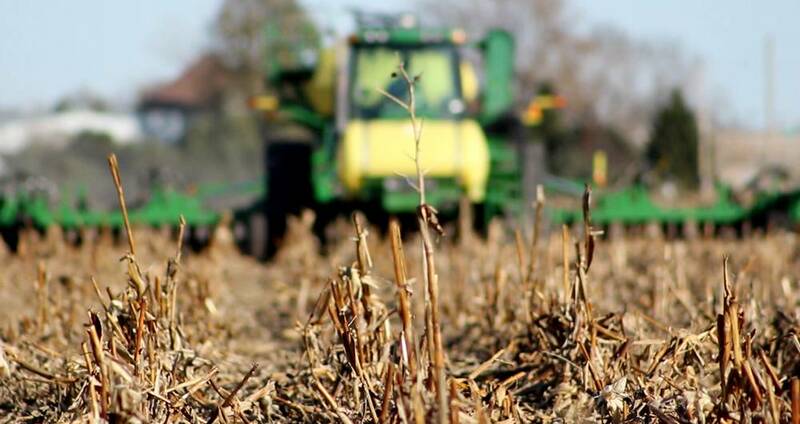 The roots of cover crops keep microbes in the soil busy when cash crops like corn and soybeans aren’t growing.Brian Seifferlein / HPM Cover crops are known for reducing soil erosion, and farm runoff. But certain plants like peas and vetch feed microorganisms that replenish nitrogen pulled out of the soil by wheat or corn. “We’ve got organic guys that we work with that they’ll plant a hairy vetch cover crop and they’re consistently producing 150-170 units of nitrogen,” Berns said. At that rate, Berns says, cover crops could replace most of the petroleum-based fertilizer that would go onto a typical Midwest corn field. “There’s a lot of petroleum, needed to make any type of fertilizer. So anytime we don’t need it to produce it, we don’t need it to haul it, if we can grow it naturally through a cover crop like this. Other parts of the food chain use more energy than farming. Transportation, processing, even our own kitchens are energy intensive. But if farms can grow their own energy or their own fertilizer, they’d be a step closer to making our food system more environmentally friendly. Take an interactive quiz to test your knowledge of energy inputs into your food!